It’s Our Second Annual Facebook Halloween Costume Contest! Starting on Sunday, October 23rd, simply “like” us on Facebook and post a photo of your kiddo/kiddos/family in costume on our wall. We’ll add the picture to our album and you, your family, and friends get to vote on the winner by liking your choice for best costume. Our Winner will receive a $50 Learning Tree Gift Card! We love Halloween! It’s a kid’s dream – dressing up, pretending, bending the healthy food rules, getting just a little spooky, and staying up late. The Learning Tree is here to add to the spook-tacular fun with Special Storytimes, trick-or-treating, and even a Haunted Toy Store! Why not add a few events to your calendar and make it a Hallo-week? Then when it’s all over…come visit us for the Learning Tree Candy Buy Back Tuesday Nov. 1st – Saturday Nov. 5th. Questions? Give us a call 913 385-1234. 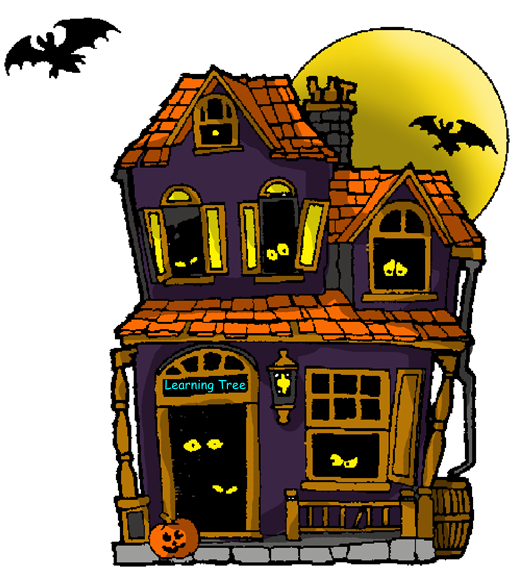 Wed. Oct. 26, 10:30am – Park Place: Get ready for Halloween with a Special Spooky Storytime at Park Place! Halloween hoopla and stories will delight our Learning Tree friends. Wear your costume if you want! Monday Oct. 31 is Halloween! We have special activities at both stores all day! Mon. Oct. 31, 10:30am – Corinth Square: Miss Elaine’s Annual Halloween Party! Regular storytime friends, goblins, ghosts and fairies you’re invited to start this special day with Halloween stories, crafts and cookie fun. Wear your costume! Mon. Oct. 31, 4:00-6:00pm – Corinth Square: Trick-or-Treat at Corinth Square! Make the loop around the Corinth Square Shopping Center, stopping in at your favorite shops to fill up your goodie bag! It’s a nice early activity for wee Treaters or a great place to start for those tricksters who will be playing long into the night! Mon. Oct. 31, 5:00-7:00pm – Park Place: Come visit the Learning Tree Haunted Toy Store! The Park Place Learning Tree will be transformed into a friendly Halloween adventure complete with squishy eyeballs and Tricks and Treats. 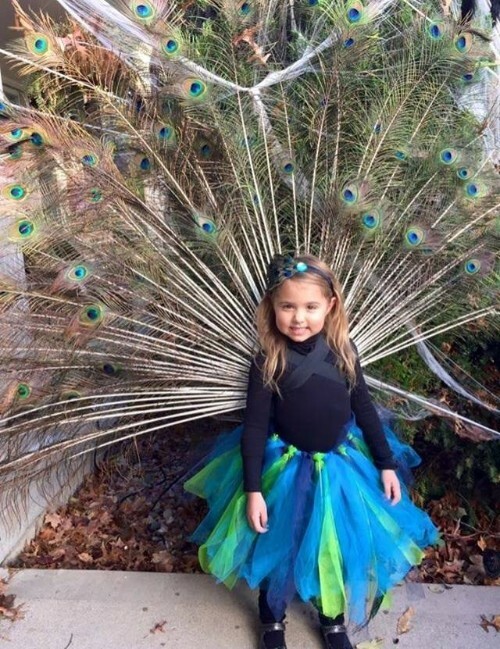 The perfect Halloween outing for little ones looking for a one-stop adventure. Drop in for activities and fun! Okay, okay, we just told you how we’re gonna help you fill that trick-or-treat bag. And now we’re gonna buy it back? Yup, that’s right! Some kids have their fill Halloween night, picking out their favorites and the thrill is gone by the next day. Or maybe you’ve got a house full of hoarders and candy rationing turns into a daily family battle with an endless trail of wrappers. What to do with all that C-A-N-D-Y? 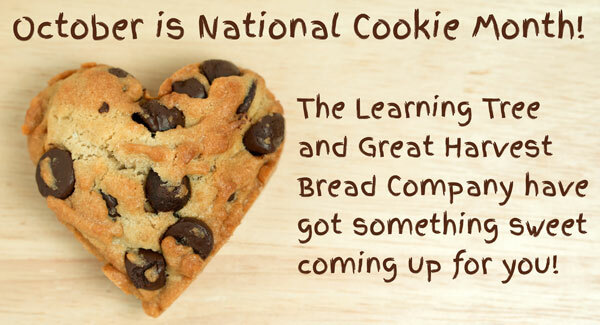 Bring it to either Learning Tree location and we’ll see that stays off your waistline, out of your kids teeth and goes to a good cause. 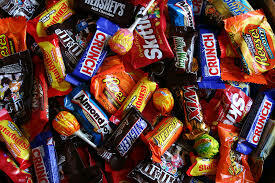 Bring in at least one lb+ of candy between Tues. Nov. 3rd, and Sat. Nov. 5th, during regular store hours and we’ll give you $5 Learning Tree Bucks to spend in the store. One per family please. We’ll box it up and send it off to be used in Treats for Troops care packages as a thank you to those who serve! We are always looking for enthusiastic candidates to join our talented retail staff of toy and playtime experts. We’re currently interviewing for seasonal, full, and part-time openings at our Park Place store in Leawood. Whether you’re around the corner or you make a special trip to see us we love being your mom and pop neighborhood toy store! Both our Corinth Square and Park Place stores will be joining specialty toy sellers in towns and cities all over the country celebrating our commitment to providing you with our expert knowledge of toys and the healthy benefits they deliver to children of all ages! Mark your calendar for this special day of games, give-aways, raffles and surprises! Come play with us! Returns to the Learning Tree! 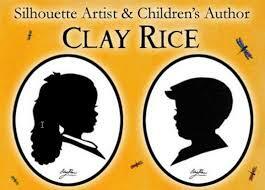 We happily welcome back internationally acclaimed, multi-award winning, silhouette artist and children’s author, Clay Rice for two days in November. On Saturday, Nov. 12th, Clay will be at Corinth Square and on Sunday, Nov. 13th, he’ll be creating silhouettes at Park Place. 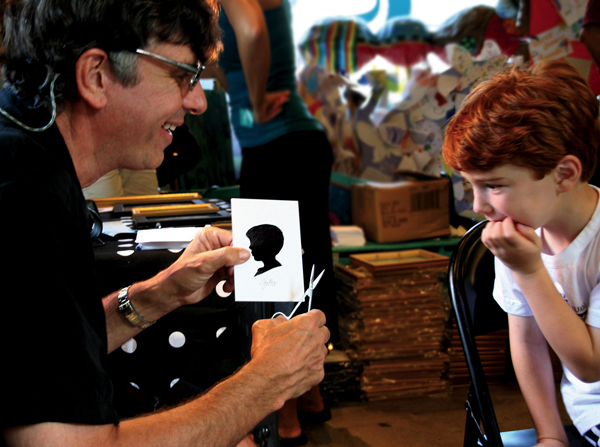 With a few precise snips of his scissors, Clay will create his one-of-a-kind works of art featuring your child. A silhouette is a unique keepsake with all the elegance, grace, and romance of a by-gone era. A framed silhouette is a beautiful holiday gift for aunts and uncles, grandparents or anyone special on your list. A silhouette sitting is $42 for two copies of the same child. Separate appointments must be made for each individual. Call 913 385-1234 for a Saturday, Nov. 12th appointment at Corinth Square. Call 913 498-1234 for a Sunday, Nov. 13th appointment at Park Place.